Since 2015, New Movement Theatre has been consistently voted the best place in Nola to watch comedy. However, what you may not know about the theatre is its status as a greenhouse for those interested in starting a hobby, collaboration, or career in the comedy world. The theatre is home and host to a wide array of classes. From stand-up and storytelling, to sketch comedy and improvisation; TNM teaches a wide array of skills. 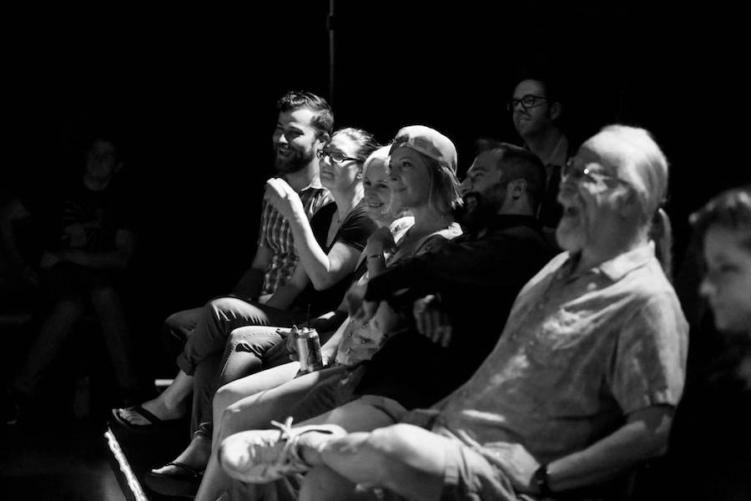 Because of this variety, New Movement offers the promise to sharpen comedy skills and increase the connectivity of participating artist to the local laugh scene. Last year, one group of students began an improv class with the theatre. And corresponding to its mission, they grew into something bigger. The collective goes by Unhinged, and they are the city’s newest performing comedy gang. Unhinged consists of eight one-time strangers who now consider themselves a family of performers. Seven members began with TNM’s Level One Improv class. The final member was picked up as the core group continued onto the Level Two, and the rest was history. The newcomers enjoyed the classes and their time together so much that they continued on to a fifth level. One year later, they find themselves ready to step out of their role as students and into the position of a true troupe. Now, Unhinged is moving from funny first-timers to professional performers, putting the strength of their group and the New Movement’s comedy conservatory on full display. Member Curtis Steeves gives massive credit to the theatre’s program for preparing Unhinged for their next step. He cites a curriculum based around scenarios, drills, and discussions as a great teacher for the group’s improv theory and style. We here at River Beats can’t wait to check that one out. With so much excitement from these graduates, we might just have to take a few classes ourselves. Join the Unhinged Improv Troupe for their first show this Sunday 1/27 7:00pm at 2706 St Claude Ave. Follow River Beats for all of your Nola Comedy News.